74-year-old Utah man Wayne Winters has found a kidney donor match for his wife after weeks of walking busy streets in a sandwich board. 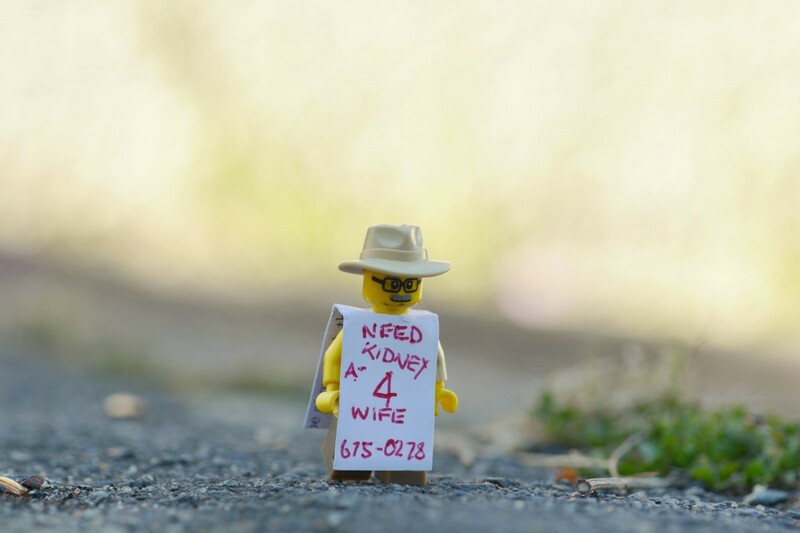 On 5 October, Wayne, who met his wife, Deanne 26 years ago, took to the streets with a sandwich board containing his plea, phone number and Deanne’s blood type A-, to find a donor for his wife, who had stage 5 kidney failure. After 700 calls, Wayne found a match! According to WPXI, Deanne is now recovering after the kidney transplant. Waynetold KTSU it would be awesome for Deanne to have a good 5 years so that they can have their life back. Great story, made better by the fact that Wayne says he will continue to wear the sign to help others. According to the National Kidney Foundation, the average person waits between 3 to 5 years for a kidney transplant. Sometimes heroes wear simple sandwich boards.